SoCalGas to install six million smart gas meters; millions more being installed worldwide. In some cases, “The cost of failure in the distribution grid can be significantly higher in gas and water than the electrical industry,” said DuCharme. This is one driver for the growth in those two markets. But without the same kind of government mandates in the U.S. and Europe, the markets will not see the boom that the electric meter has seen in the past few years. 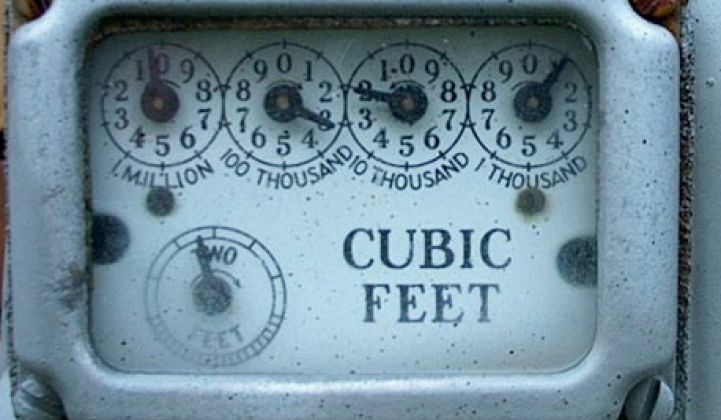 Customers who have to foot the bill -- such as the anticipated $1 billion it will cost for the new SoCalGas meters -- are also likely to question the benefits. Like electricity, the business case often centers on fewer truck rolls and improved efficiency, although in the case of SoCalGas, DuCharme said the average customer's savings was only estimated to be about one percent. A pilot of 10,000 meters will begin in 2012, with a planned deployment of about 1.2 million meters a year over the next five years. DuCharme said that many other gas utilities are watching. “It’s always great to go down a path others have walked down before,” he said.